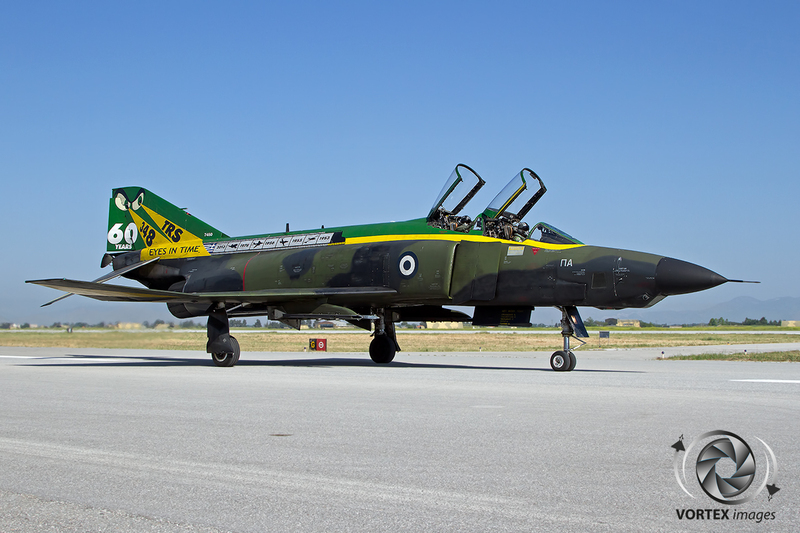 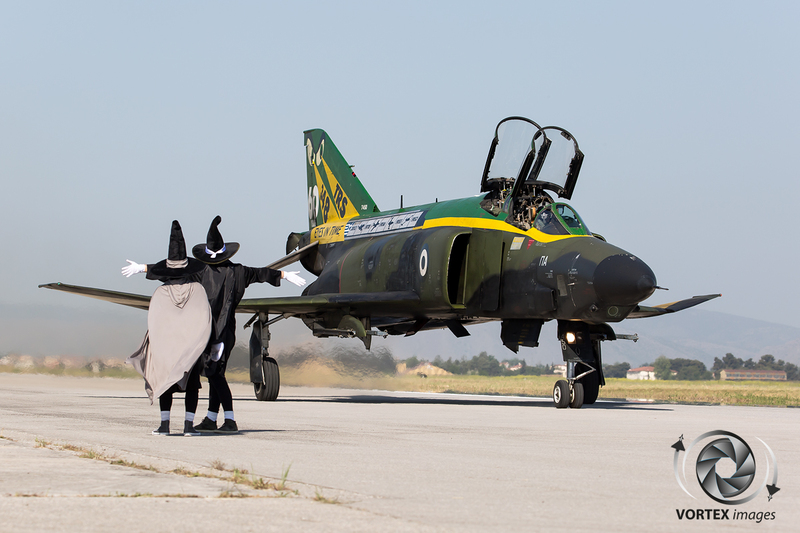 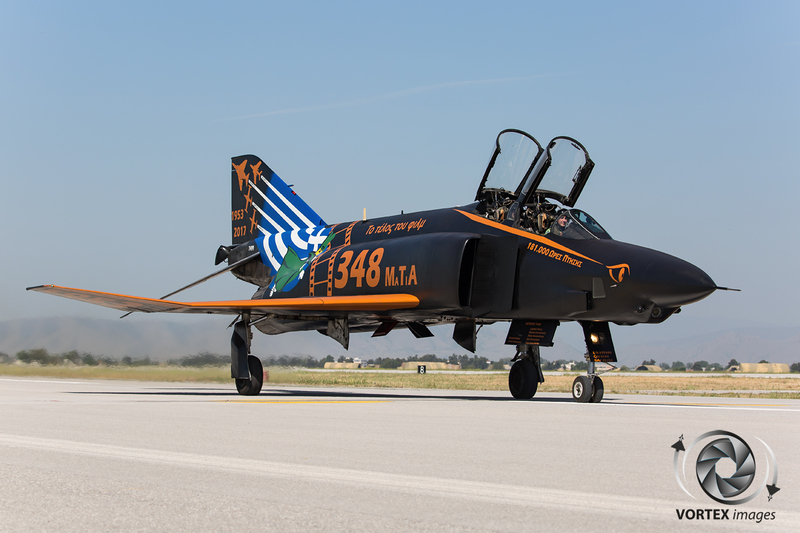 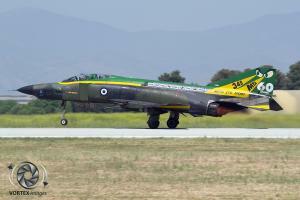 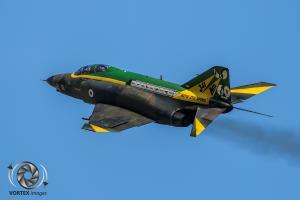 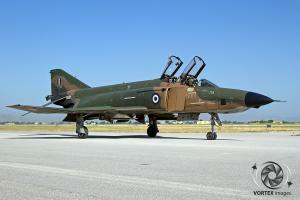 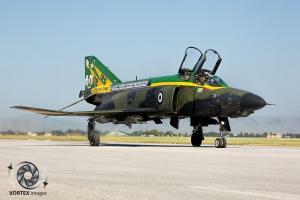 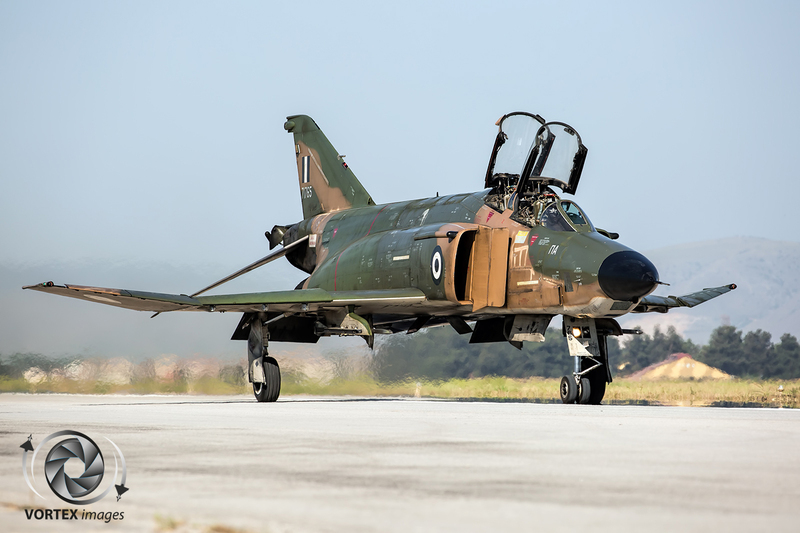 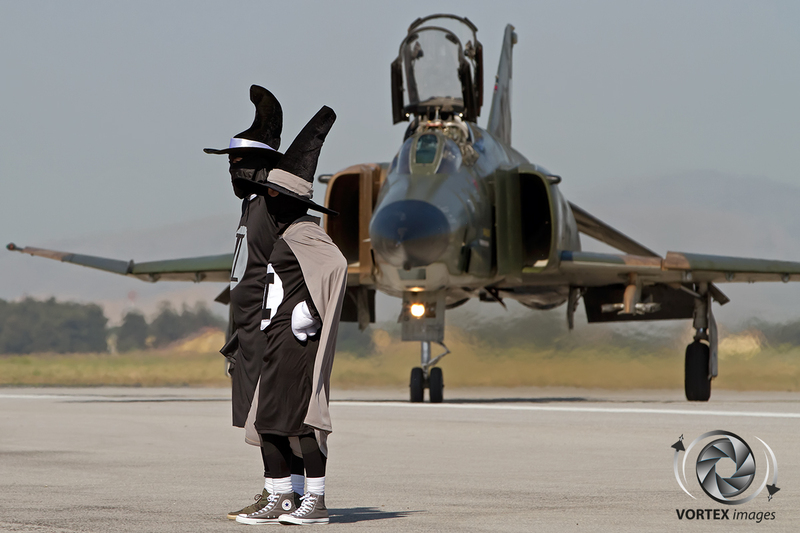 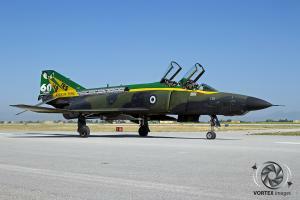 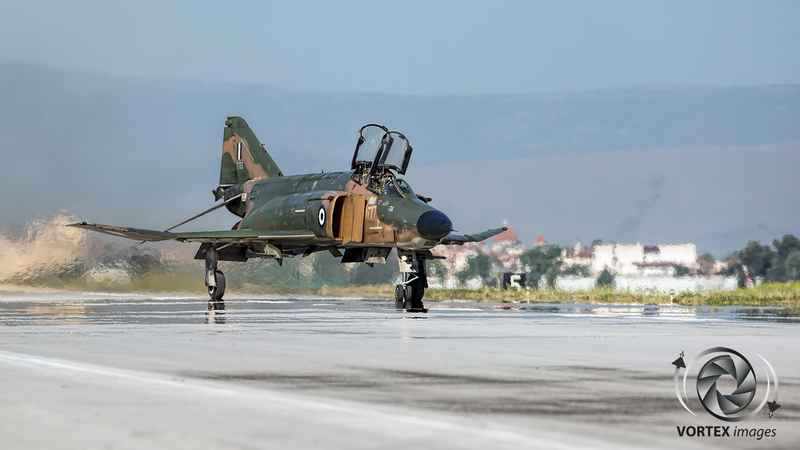 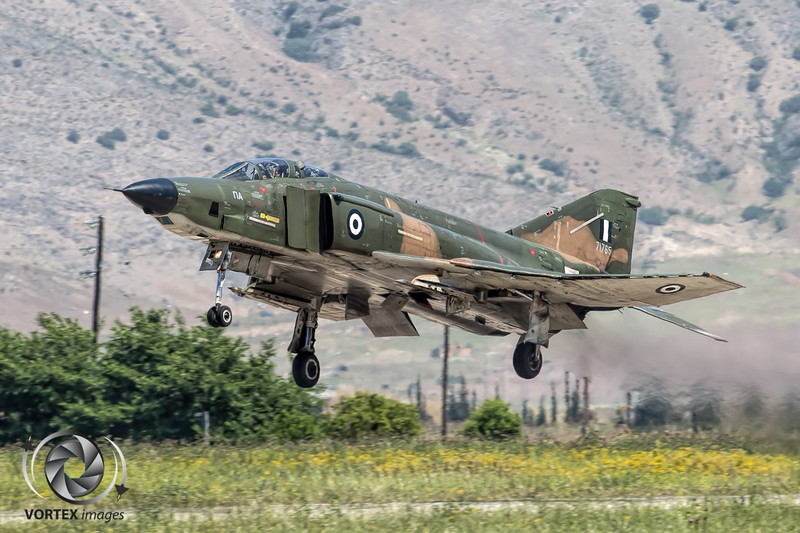 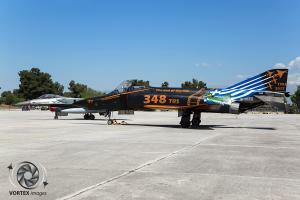 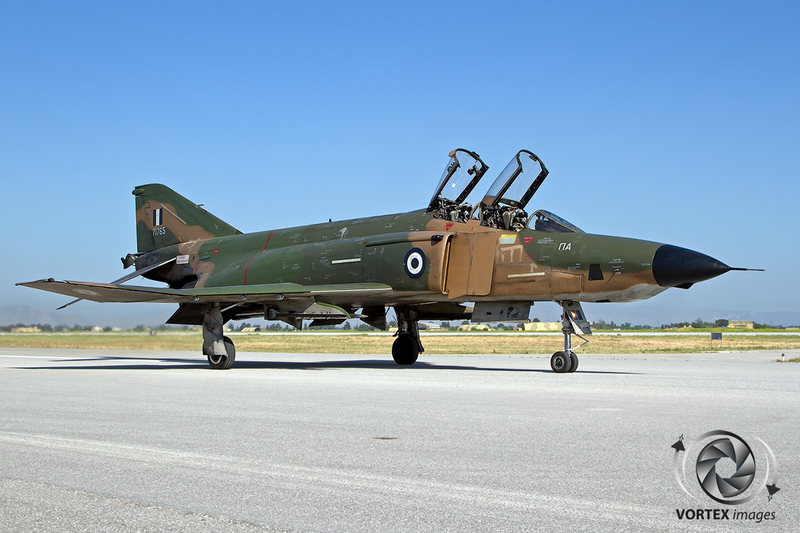 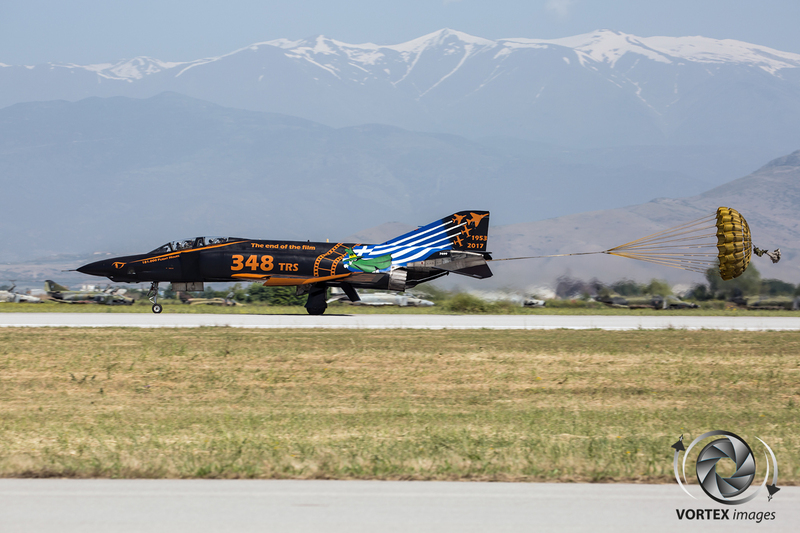 On the 5th May, at Larissa Airbase, the Hellenic Air Force retired its McDonnell Douglas RF-4E Phantom II’s. This marked the end of Recce Phantoms within NATO as Greece was the last member to use these iconic aircraft. 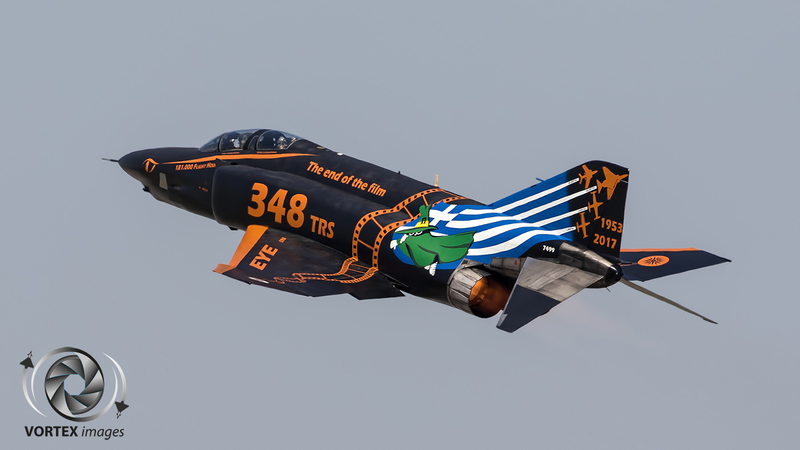 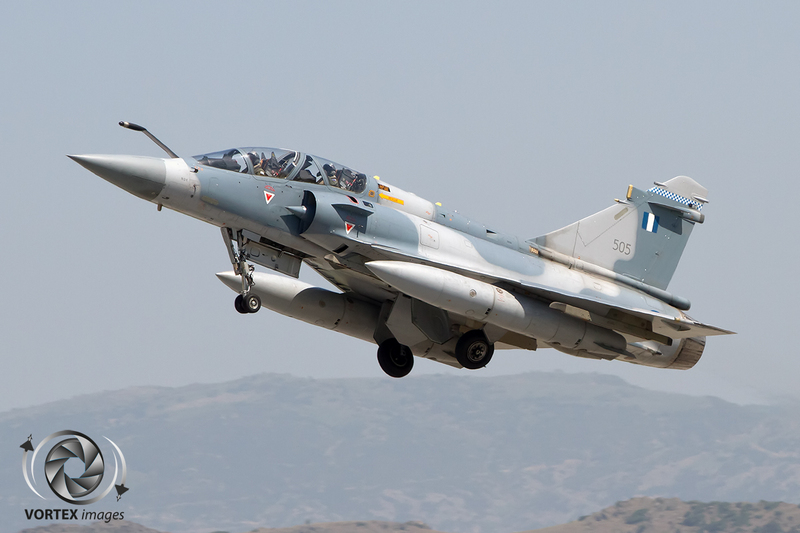 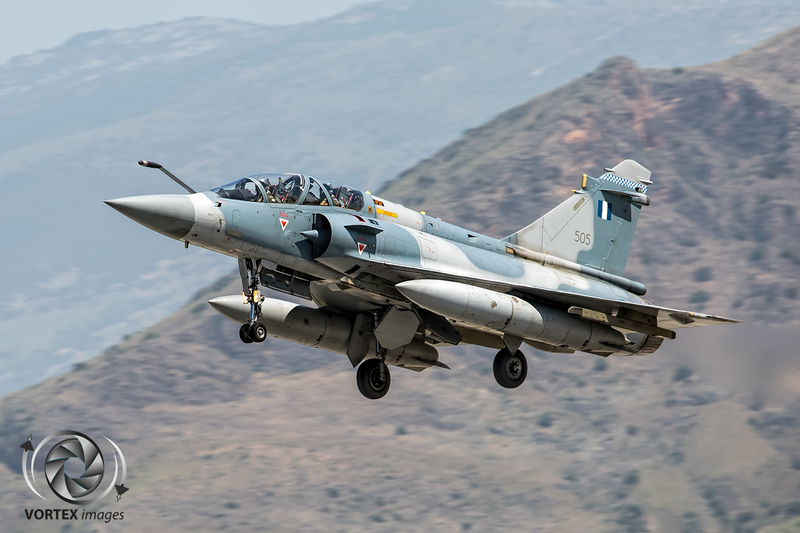 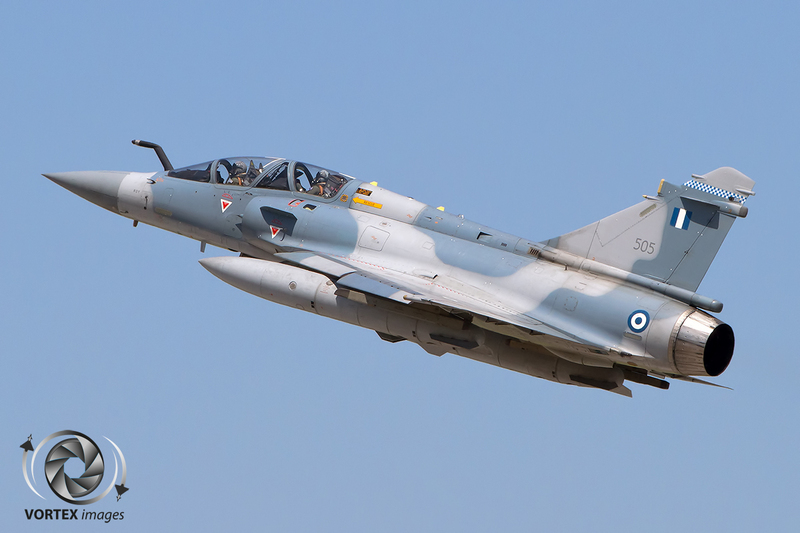 Besides retiring the RF-4E the Hellenic Air Force also disbanded its operator 348 Mira (Squadron), one of the oldest squadrons in the Hellenic Air Force. To mark both events a Spottersday was held on the 4th May and a retirement ceremony was performed on the 5th May at Larissa Airbase. 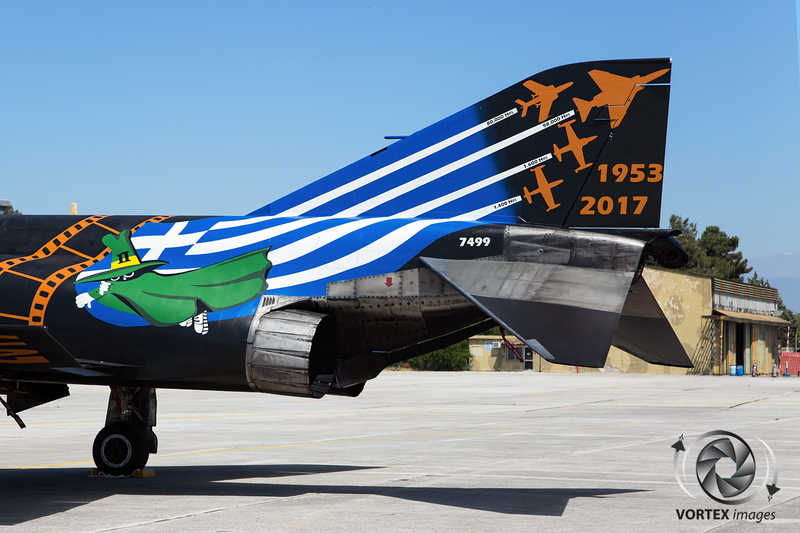 Hellenic Air Force 348 “Matia” Mira, Matia is Greek for Eye, is one of the oldest squadrons in the Hellenic Air Force. 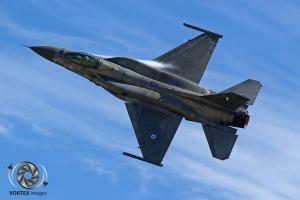 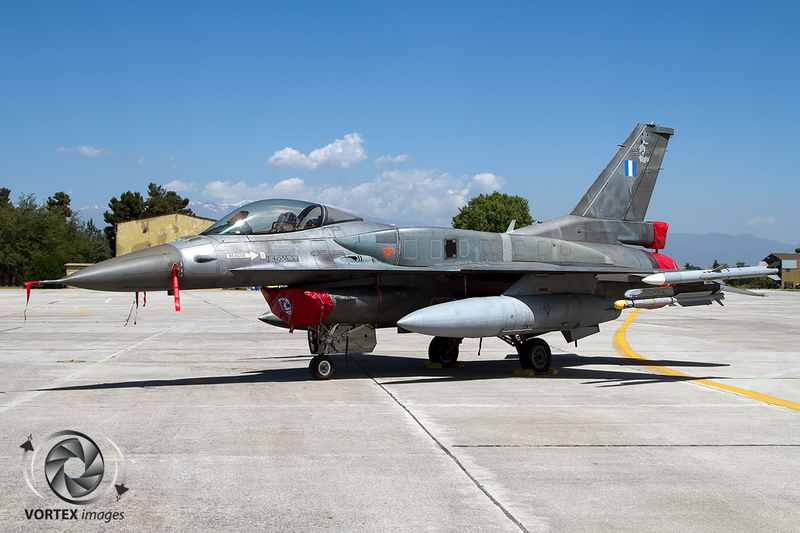 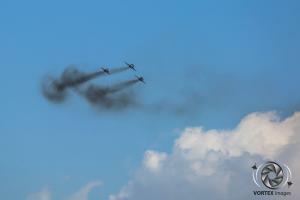 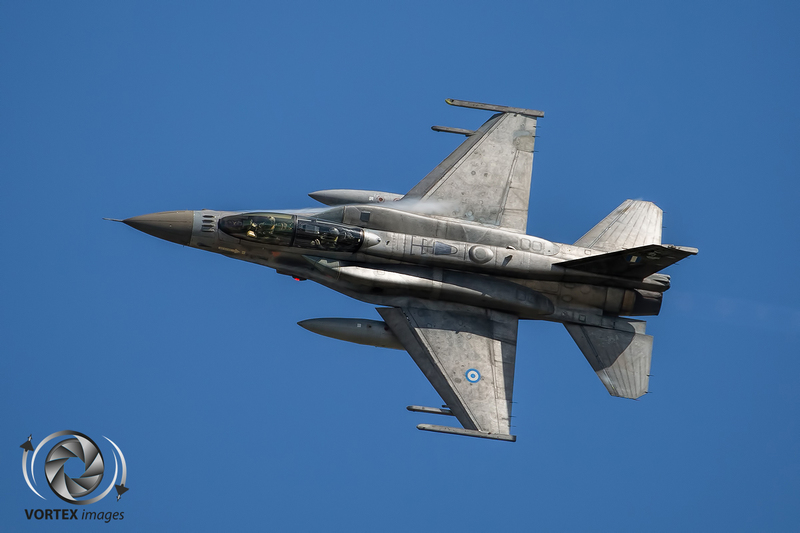 Its main task within the Hellenic Air Force was to perform reconnaissance for the Armed Forces of Greece. 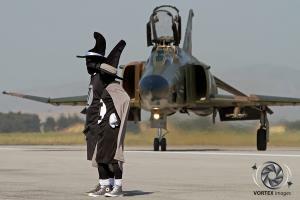 Besides this 348 Mira also had secondary tasks such as photographing damage done by forest fires. 348 Mira started its life in 1953 as being part of 335 Mira of the 112 Combat Wing at Elefsina Airbase. 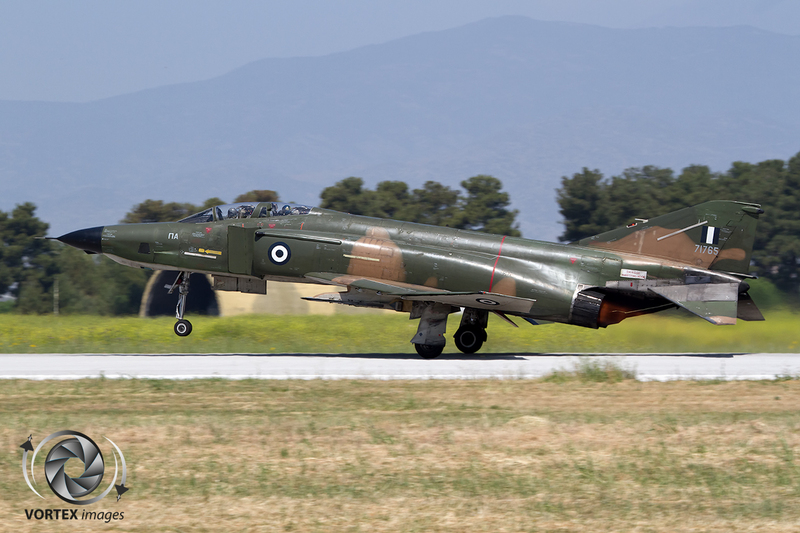 It flew with modified F-84G Thunderjets which were equipped with tiptank mounted cameras. 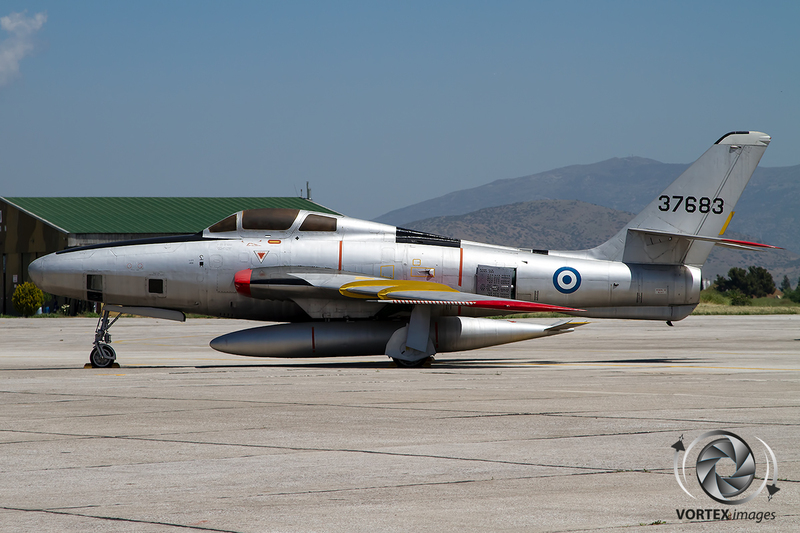 The Hellenic Air Force recognized the importance of reconnaissance which led to ordering specialized reconnaissance aircraft in the form of the Lockheed RT-33A T-Birds. As 335 Mira became too large, 348 Mira became a real squadron in July 1954. 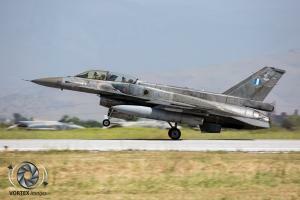 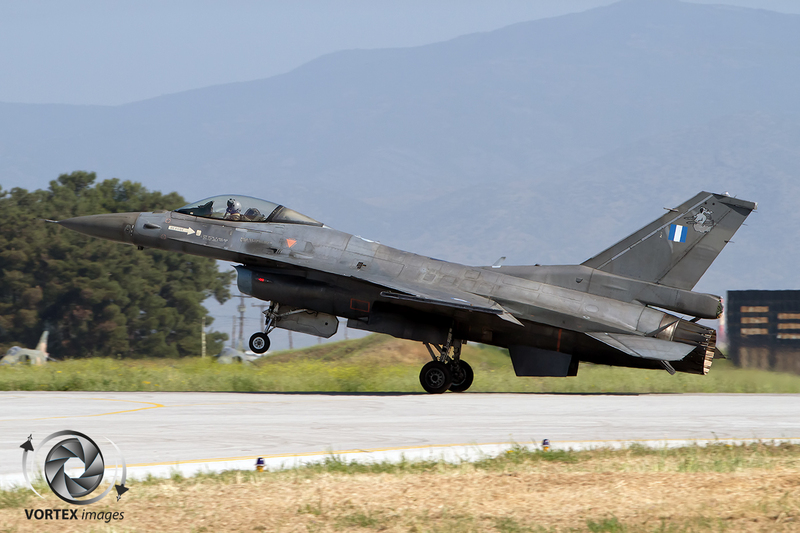 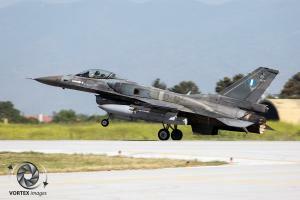 With the creation of 348 Mira the unit was being transferred to Larissa Airbase to become part of the 110 Combat Wing. 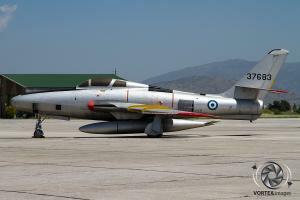 In August 1956 the RT-33A’s were sold to the French Air Force and brand new Republic RF-84F Thunderflash aircraft were obtained. This made Greece one of the first operators of the RF-84F Thunderflash. 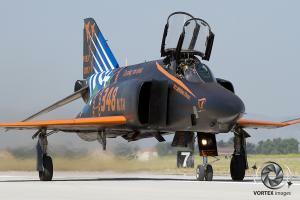 Between 1965 and 1971 further reconnaissance capability was added in the form of 17 Northrop RF-5A Freedom Fighters. 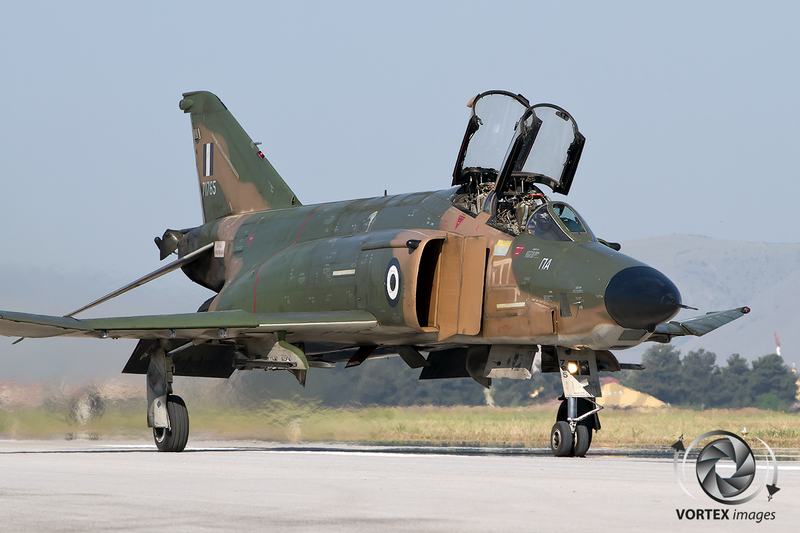 Further strengthened by 8 RF-4Es in 1979. 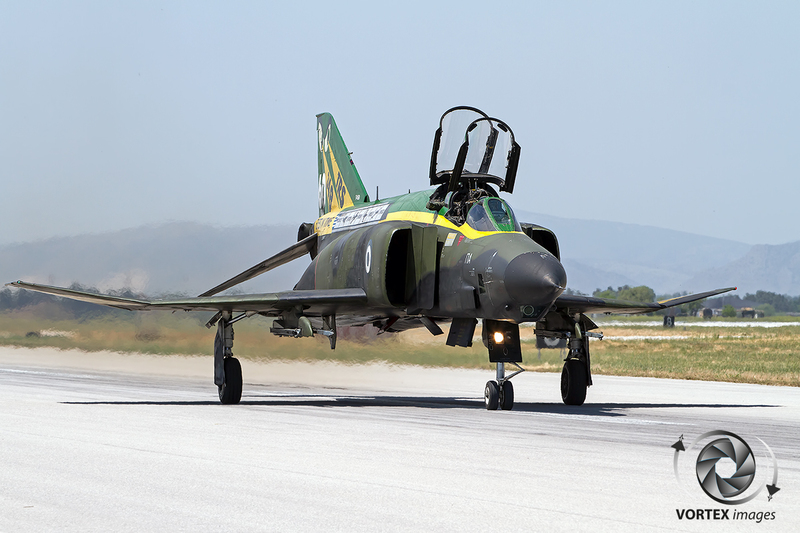 As the RF-5A and RF-84F became showing their age in the early nineties 29 RF-4E’s were bought from Germany as a direct replacement of the RF-5As and RF-84Fs. First flown on the 15 September 1970, the RF-4E was a tactical reconnaissance version of the F-4 Phantom II. 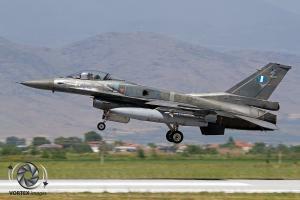 Only 150 were build for Germany (88), Greece (6), Iran (16), Israel (18), Japan (14) and Turkey (8). This RF-4E combined the F-4E’s airframe and engines, including the unslatted wings, with the nose of the RF-4C although the RF-4E was equipped with less security sensitive equipment then the RF-4C due to the RF-4E being mend for export only. 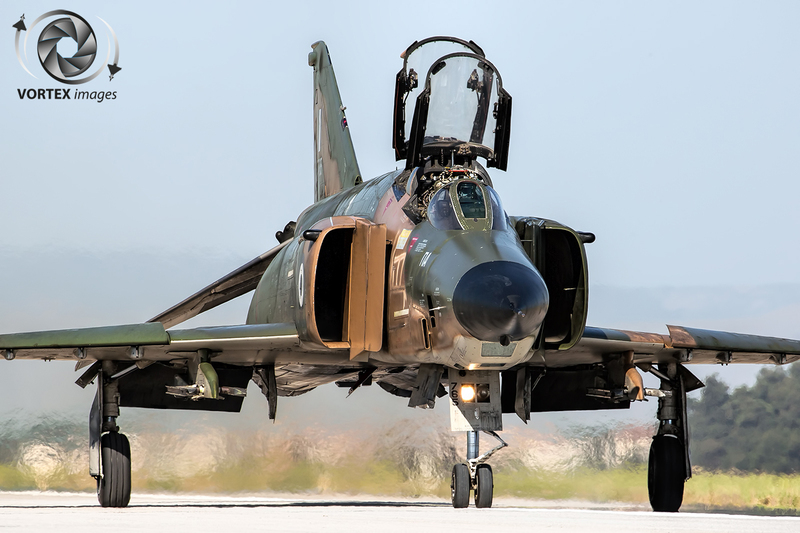 The RF-4E was equipped with the APQ-99 radar which had terrain following capabilities that could be used for low level reconnaissance. 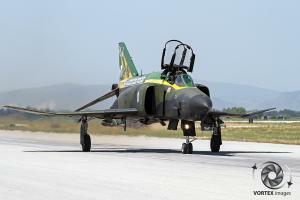 The nose housed three camera bays which could accommodate the KS-87, KA-56 and KA-55 camera systems. 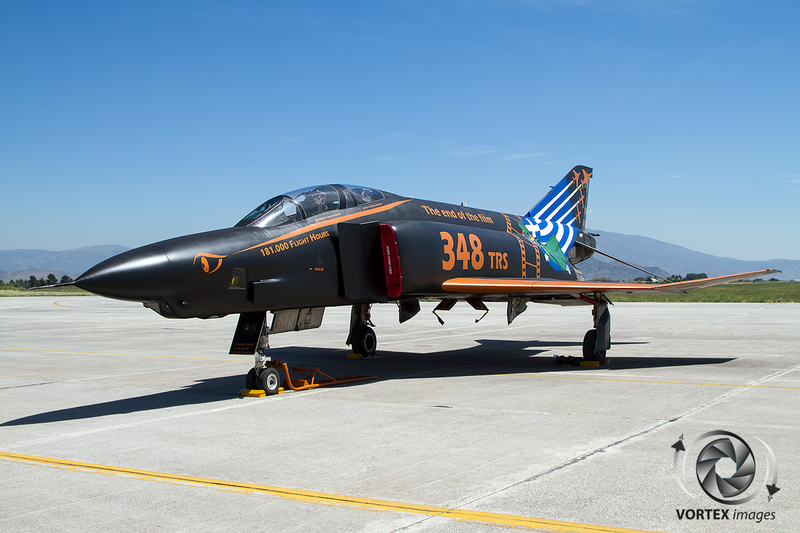 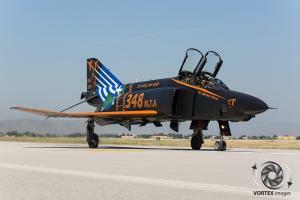 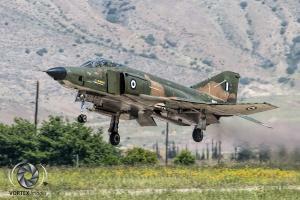 The Hellenic Air Force became a Phantom operator in 1974 when their first F-4E was delivered. 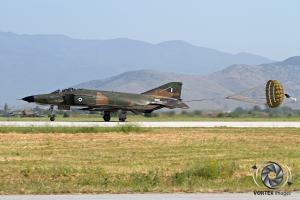 The Hellenic Air Force had order 84 Phantoms delivered in three badges consisting of F-4E fighter bombers and RF-4E tactical reconnaissance aircraft. 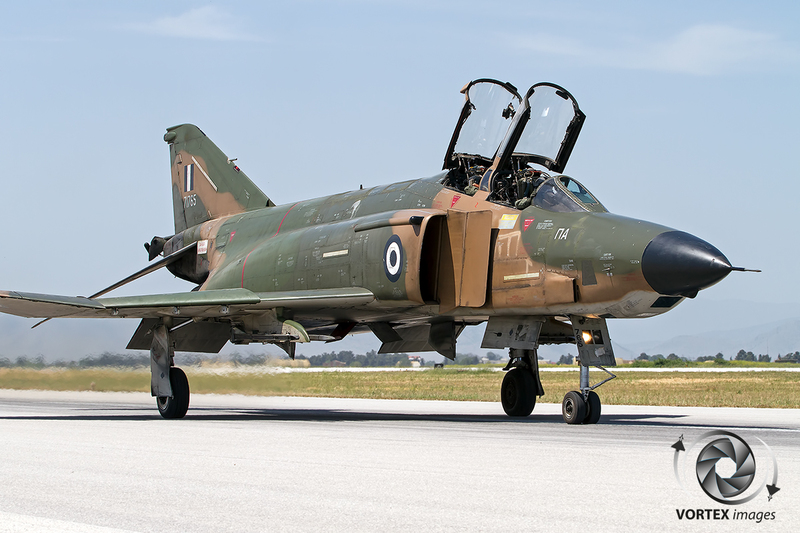 The third badge included 8 RF-4E aircraft which were delivered between June 1978 and April 1979. 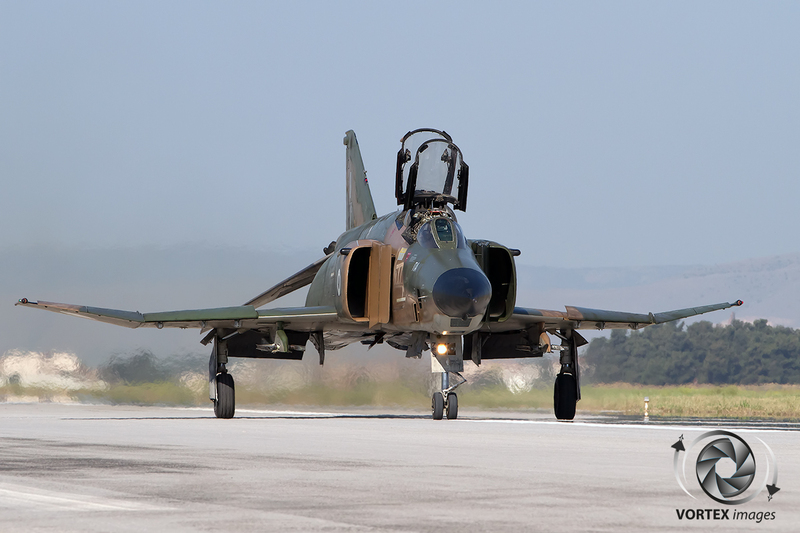 These 8 RF-4E’s replaced the ageing RF-5A’s and RF-84F Thunderflashes in services with 348 Mira. 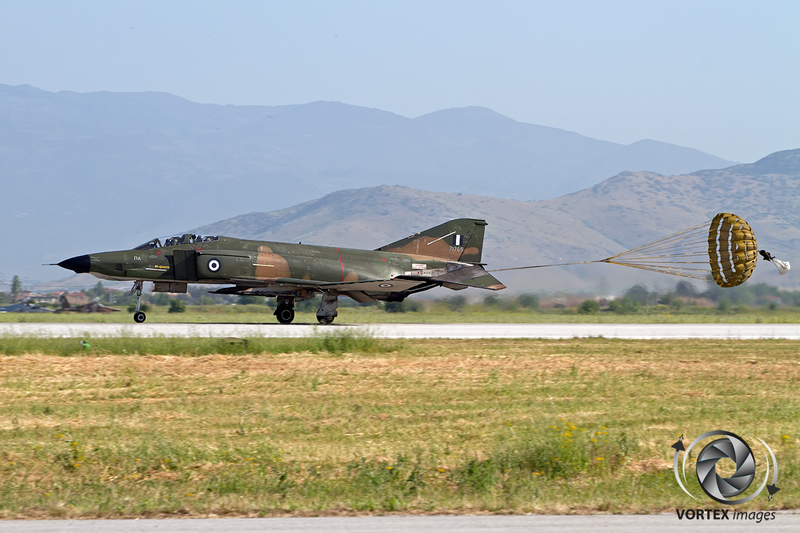 Between 1992 and 1994 a further 29 RF-4E’s were delivered when Greece acquired 29 former German RF-4E’s. 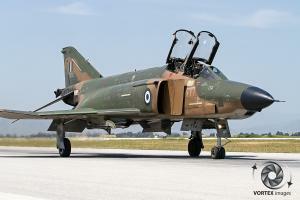 Of those 29, 20 were put into service while the remaining 9 airframes were used for spare parts. Until the very end the “German” RF-4E’s and the original RF-4E’s could be kept apart due to their camouflage as the “German” RF-4’s were being kept in their Lizard camouflage while the original 8 were delivered in South East Asia camouflage. 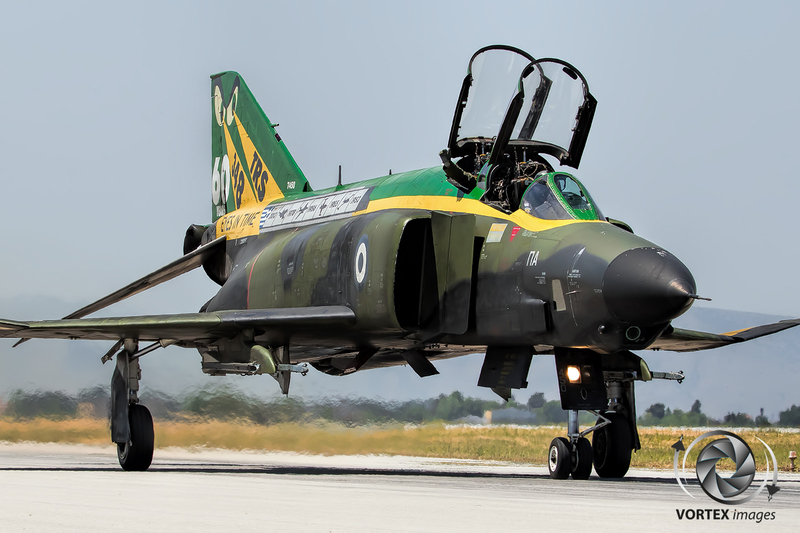 On the 5th May 2017 the book was closed on 348 Mira and their beloved Recce Phantoms.